“For the renewal project, we presented stringent specifications. The new system satisfied our requirements and provided great satisfaction. All staff members welcomed the bright images and wide viewing angle. The display area has also enlarged, allowing us to conduct more precise traffic control. The new system is also expected to serve useful functions in the event of a disaster." Ultra-short throw projectors enable projection from short distances, for use in places with limited space. Stable operation and no maintenance for about 87,000 hours provide a dramatic reduction in TCO. Panasonic provided not only projectors but also the entire multi-vision system as a one-stop service. The SOLID SHINE Series projectors maintain excellent image quality and high brightness for a long time. Combined with the Panasonic multi-vision system, they offer a wide viewing angle. 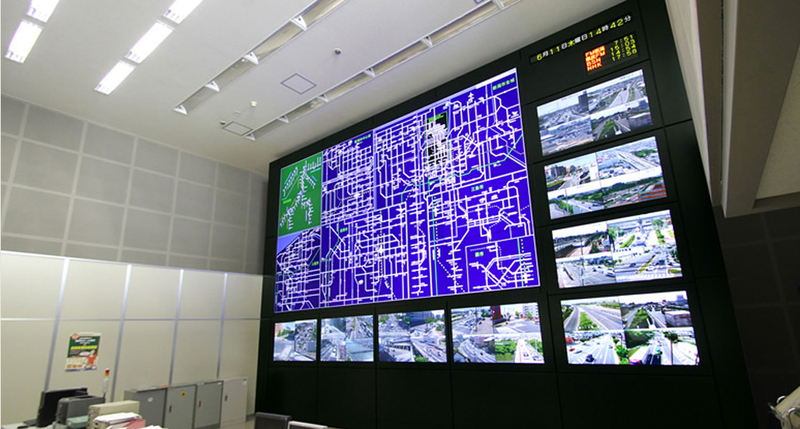 The Traffic Control Center of the Niigata Prefectural Police Department monitors traffic conditions in the prefecture and controls traffic flows to maintain a safe and smooth flow of vehicles. The Center has recently renovated its information display system by replacing the existing system with Panasonic's 16-screen multi-vision projection system. The new display system provides brighter and clearer images to promote more accurate traffic control. 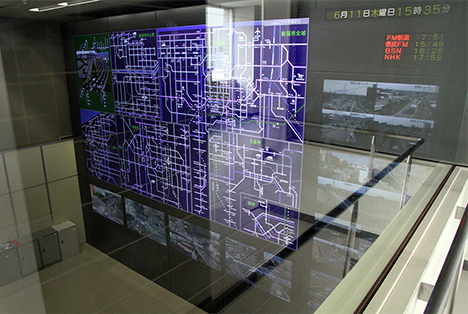 The large screen of about 3.5 m in height and 6.2 m width covers the entire wall of the Traffic Control Center. 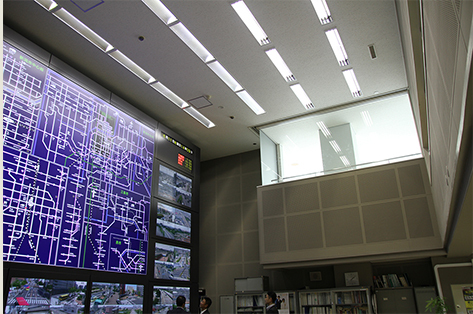 The Traffic Control Center of Niigata Prefectural Police Department used mosaic-panel-type display devices for about 30 years. Due to aging degradation, they were approaching a state that could disallow accurate understanding of traffic conditions. Thus, the Center decided to renovate the display system. Setting bright, easy-to-see images as the most basic requirement and aiming to achieve "displays of various types of information" and "long-life operation to extend the replacement interval," the staff held repeated deliberations. After examining various systems, they decided on a display system configured with Panasonic projector multi-vision display devices. plus eight TH-65LFE7 Panasonic LCD Displays arranged to display monitor camera images. The PT-RZ475 was used for direct rear projection to achieve highly visible images and also low-cost replacement in the future. When employing the rear projection method, mirrors are usually used to minimize the depth. 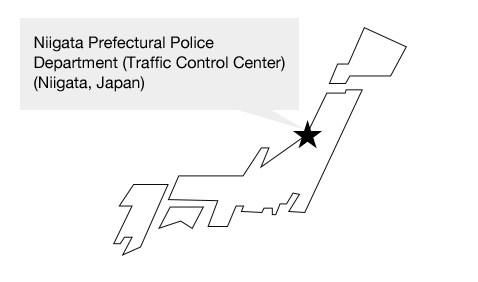 However, the system newly installed at the Traffic Control Center of the Niigata Prefectural Police Department is a direct rear projection system using projectors. In the case of a conventional mirror-reflection-type multi-vision system using projection engines, there is a concern that future renovation will involve the replacement of not only projectors and mirrors but also the entire system in some cases. The direct rear projection system with the PT-RZ475 LED/Laser projectors proposed by Panasonic, on the other hand, allows low-cost system renewal by replacing only the projector units, thus enabling the continued use of other equipment. The choice made by the Traffic Control Center will minimize the TCO for many years in the future. from a very short distance. A short-depth cabinet for the display devices was made possible by the maintenance-free PT-RZ475. 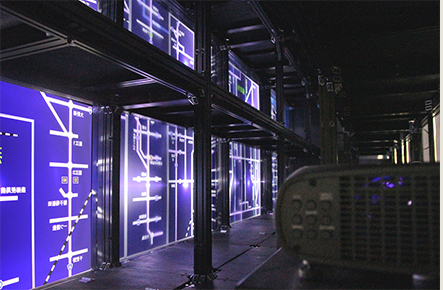 The cabinet containing 16 PT-RZ475 projectors and LCD displays is only about 1.6 m in depth. The projector mounting section inside the cabinet features a four-layer structure in the vertical direction. The inside space is small, but the light sources do not require replacement for about 87,000 hours and the air-filter-less PT-RZ475 is practically maintenance-free. This drastically reduces the number of times maintenance must be performed in the small backyard space. 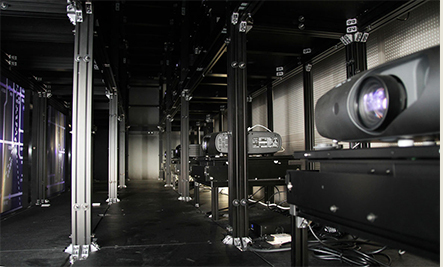 The PT-RZ475 projectors installed inside the cabinet. The PT-RZ475 provides bright images even in "Eco2" mode. A light source power setting further reduces power consumption. At the Traffic Control Center, the PT-RZ475 projectors operate in "Eco2" mode, which minimizes the light output. This mode still provides bright and clear images under the current room conditions. In addition, the light source power setting further reduces power consumption. Since the system operates 13 hours a day at the Center, the original LED/laser hybrid light sources will not require replacement for more than 10 years according to calculations. This contributes to cost reduction in the future. 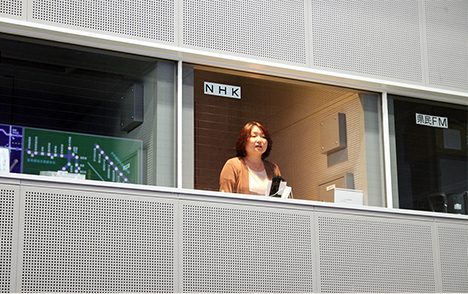 The Panasonic multi-vision system provides a wide viewing angle, and the displayed images are clear when viewed from close up as well as from the visitors' observation window located on the floor above. Thus, it is praised highly by users. Clear images even with fluorescent lights and external natural light. For the renovation project, Panasonic cooperated with the Niigata Prefectural Police Department in designing traffic signs. The design and color of the road network were also renewed. Traffic information is disseminated to drivers daily through a radio broadcast of road traffic information and by electronic sign boards on roads. 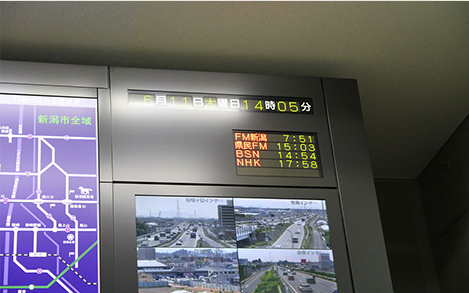 The new display system was also well received by the announcers who broadcast traffic information because it is easy to see. Road traffic information broadcast schedule. Road traffic information broadcast from the Traffic Control Center. 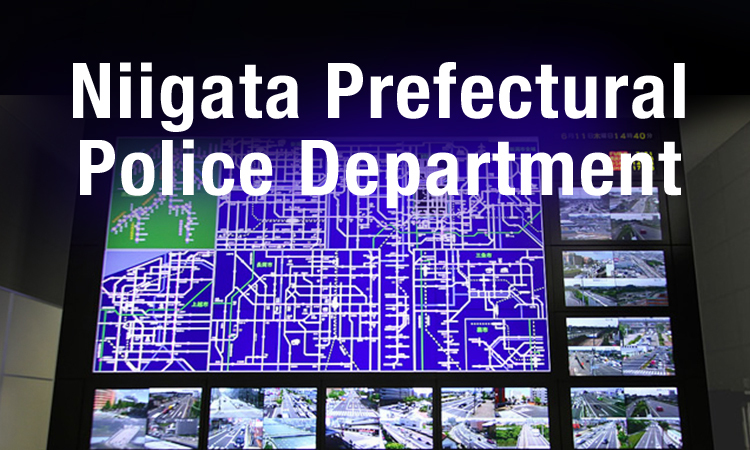 “Niigata Prefectural Police Department (Traffic Control Center) (Niigata, Japan)”Download PDF is here.